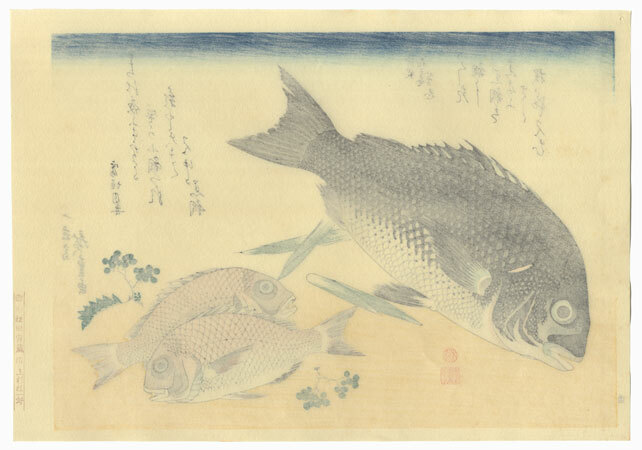 Black Sea Bream, Small Sea Bream, Asparagus Shoots, and Sansho Pepper - This beautiful, full size oban print and the others from this series reflect the Japanese passion for sea life. Published by the Yuyudo studio, these reprints are a great choice for a collector looking to add a unique print to a collection. They are rarely seen and this set is a great opportunity to select from this series. 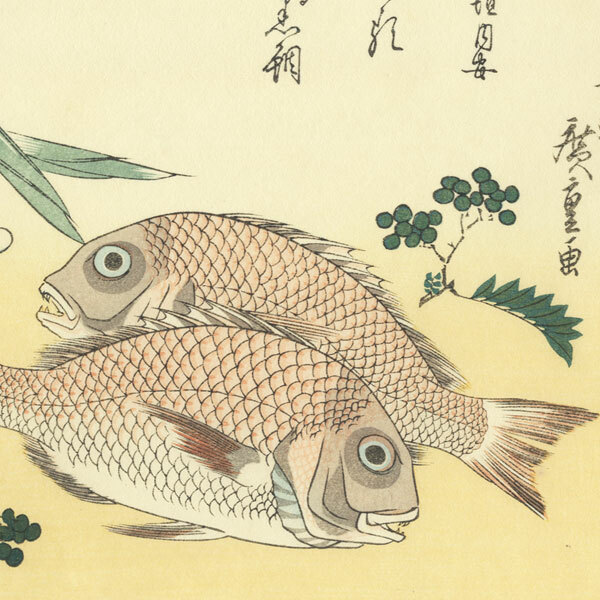 They also make terrific displays when framed or perhaps a nice choice for a restaurant with a focus on Japanese food. 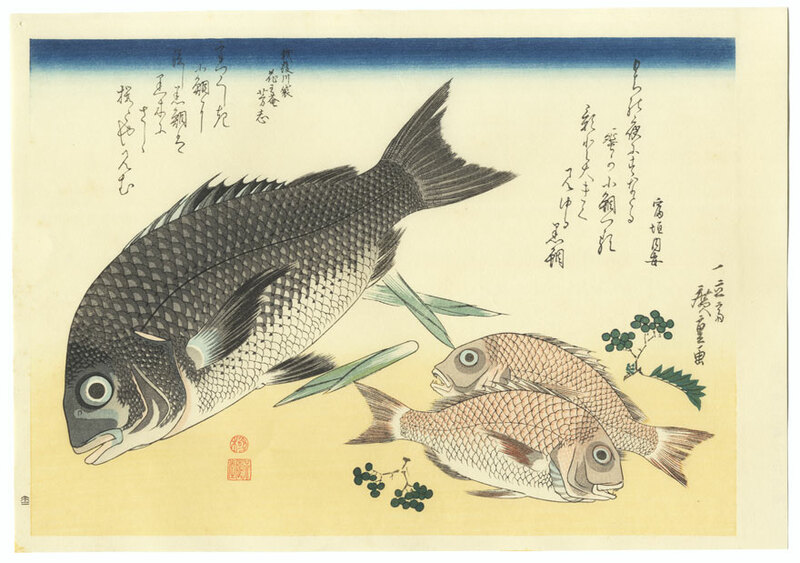 Great woodblock prints.